This past Sunday we closed out a series with the Milwaukee Brewers. It started out with a game that we should have won, then should have lost, should have won and lost a couple more times then eventually did lose. The second game was a blowout in their favor and the last game was all about us taking advantage of errors to avoid the sweep. It was actually kind of painful. This whole season is likely to be painful. I’m pretty sure the closest we’ll get to .500 all season was game #2. I like Len & Bob as announcers, but sometimes when things are going badly, you wish you had crazy announcers like in that movie. 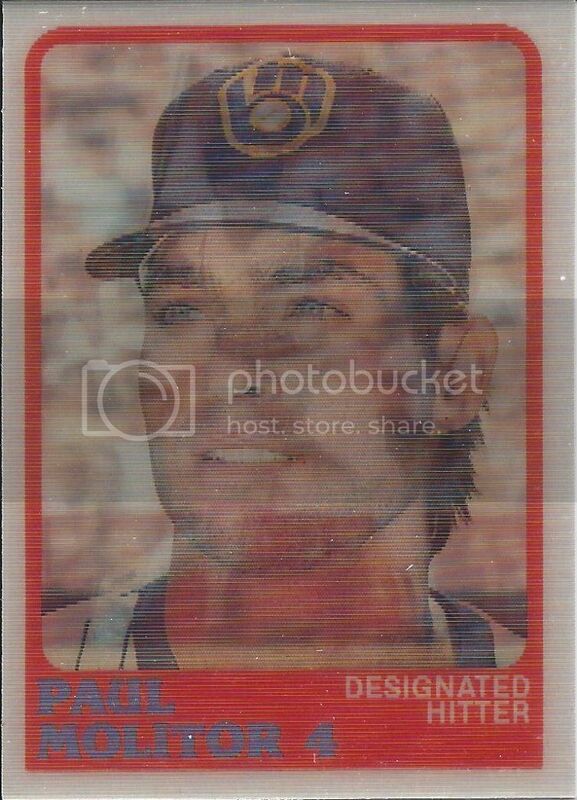 Which leads me to my hypothetical pick for the Milwaukee Brewers: Bob Eucker. He met Brocktoon! Do you really need another reason? Don’t know Brocktoon? Lemme educate! Yes, I know he never played for the Brewers, but he did play in Milwaukee with the Braves, and how can you not think of the broadcasting legend up in Wrigley North? I don’t have any Eucker cards to show and I don’t feel like stealing images, so videos are all you get. If you don’t like it, into the jar! He puts his glove over his face. So he can. So he can think of other parody lyrics to that soooong. Look, even he’s hiding from his own cards. Before I had the epiphany to name Eucker, Hart was going to be the guy. He gets under my skin sometimes, like on Friday, but in general he’s a good, solid slugging type that wouldn’t be too hard to collect. He’s not everywhere on cardboard like a lot of guys with his stats thanks to playing in a smaller market. I pulled the first one I could find to scan. That took about 15-20 minutes. Something about that lack of abundance is appealing to me. It's like we're getting a glimpse inside his mind! Sure, I could have gone with Robin Yount, but that seems too damned expensive. This exercise isn’t about the only player I would collect, it’s about the player from each team I would theoretically add. That means I have to make sure to balance some massive names with other quality guys that are easier on the wallet. In fact most of them will be of that type. Molitor feels like he’d be an easy HOFer to acquire. Still, I’m going with Euck over all. This is a great concept for a series! You could go for Rollie Fingers also. A low priced Hall-of-Famer. 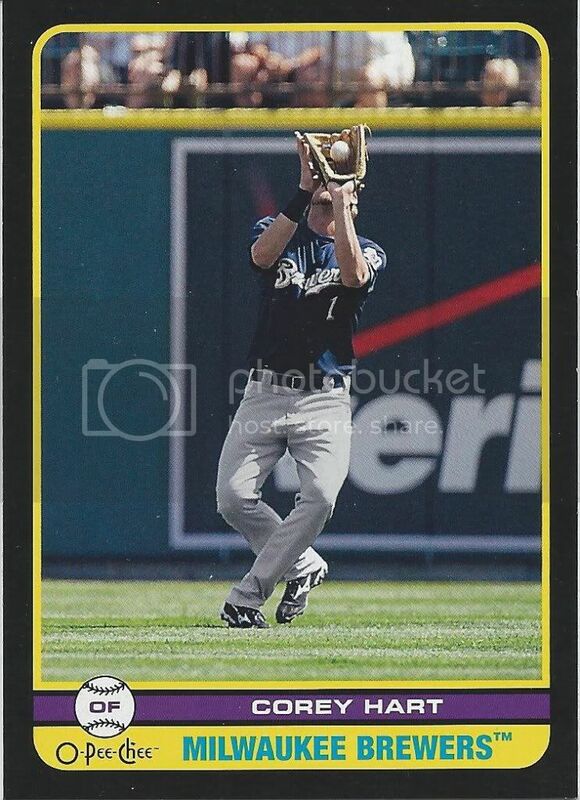 If I Were To Collect: Pittsburgh Pirates Edition « Community Gum | A Sports Card Blog. With Jokes. If I Were To Collect: St. Louis Cardinals Edition « Community Gum | A Sports Card Blog. With Jokes. If I Were To Collect: Texas Rangers Edition « Community Gum | A Sports Card Blog. With Jokes. If I Were To Collect: California/Los Angeles Angels of Anaheim Edition « Community Gum | A Sports Card Blog. With Jokes.